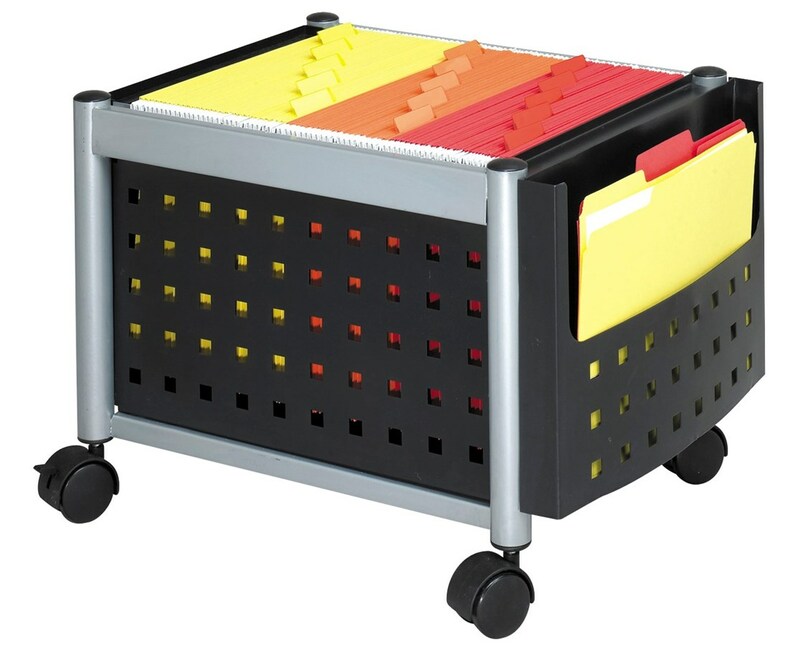 The Safco Mini-Scoot Mobile File is an extremely functional and versatile that provides easy and stylish organization. It features a compact size that allows it to fit under a work surface, desk, or tabletop. Its 19-inches wide and 14.75-inches deep tub has a top opening design and can accommodate letter or legal-size folders. Side pockets are also included to be used as storage for active files. Rolling over surfaces is smooth with the cart’s four two-inch swivel casters, and two of these wheels can be locked. 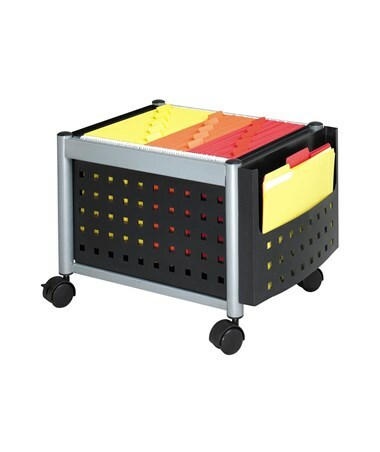 This compact file cart is made of steel with a durable powder coat finish. It is safe for indoor use and does not emit harmful chemicals as certified by GREENGUARD.